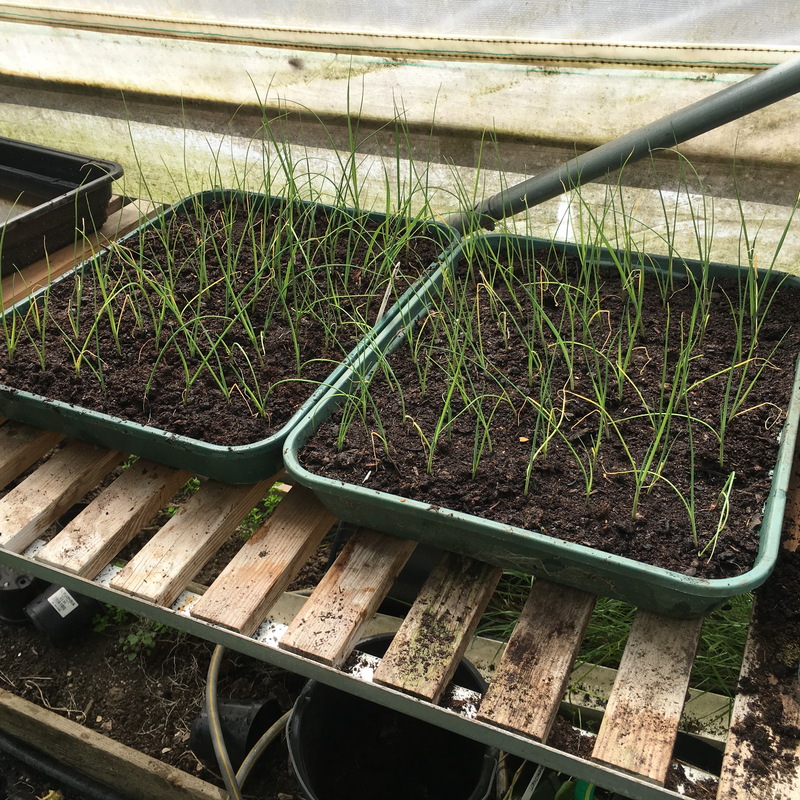 Leeks are normally grown in a seed bed or seed trays and transplanted to their final growing positions, traditionally trimmed and dropped into six inch deep holes. We sowed two seed trays with leeks, one of old favourite Musselburgh and one of Bleu de Solaise. Rather than transplant direct, I have for some years transplanted leeks twice, first moving them into a larger tray at wider spacings, and then later in the year to an outdoor bed. 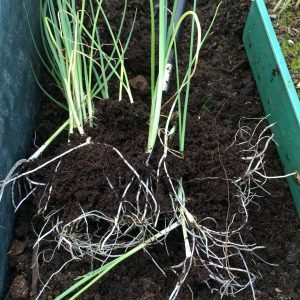 This intermediate transplant is not entirely conventional, but allows me to select the best looking young seedlings and move them on to a situation where they have a bit more space to develop. 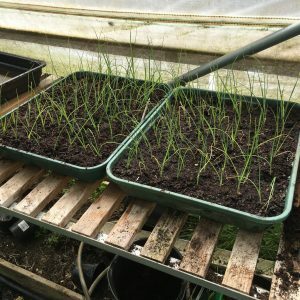 Leeks transplant quite well and do not seem to mind. 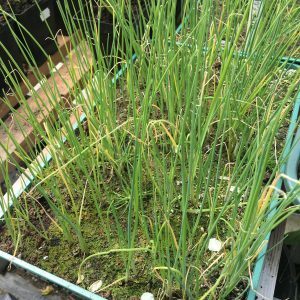 They can be allowed to develop into more robust young plants before their final transplant, which I feel may be useful, although I have not undertaken any controlled trials to see how this method compares. The transplant is easy enough, although quite a chore. 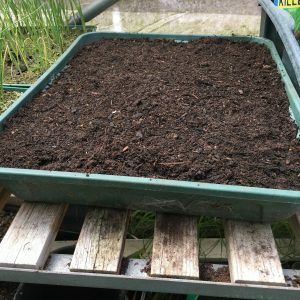 A large tray is filled with moist compost; I took the opportunity to provide a more rich growing medium than they had originally been sown in – another advantage of moving them on. 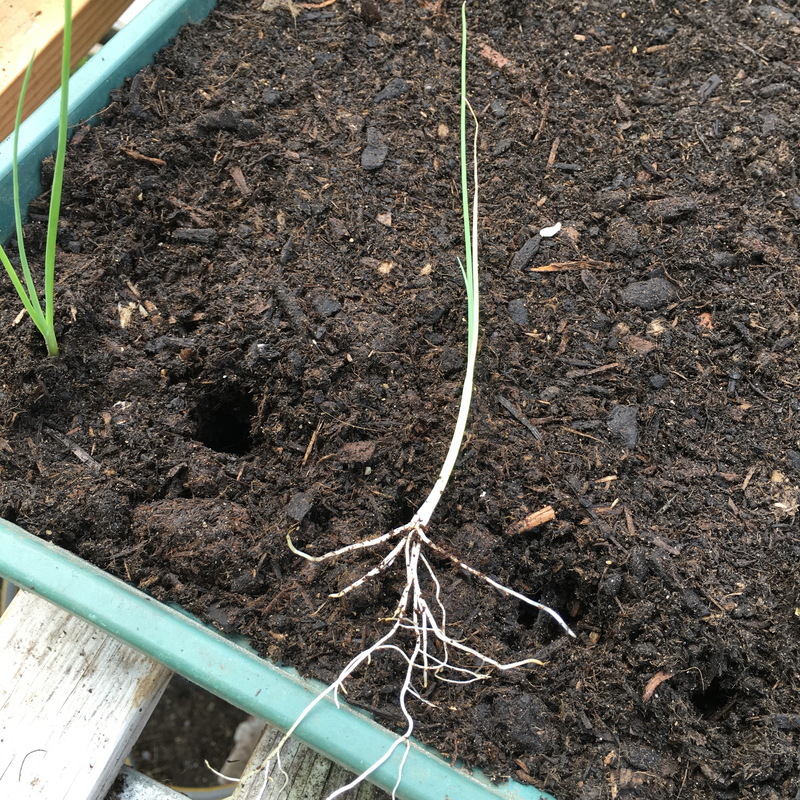 Holes are made in the tray to accept the roots of the young plants. These are removed from their current tray in clumps and gently teased apart. A few are processed at a time so as not to allow the roots to dry out. 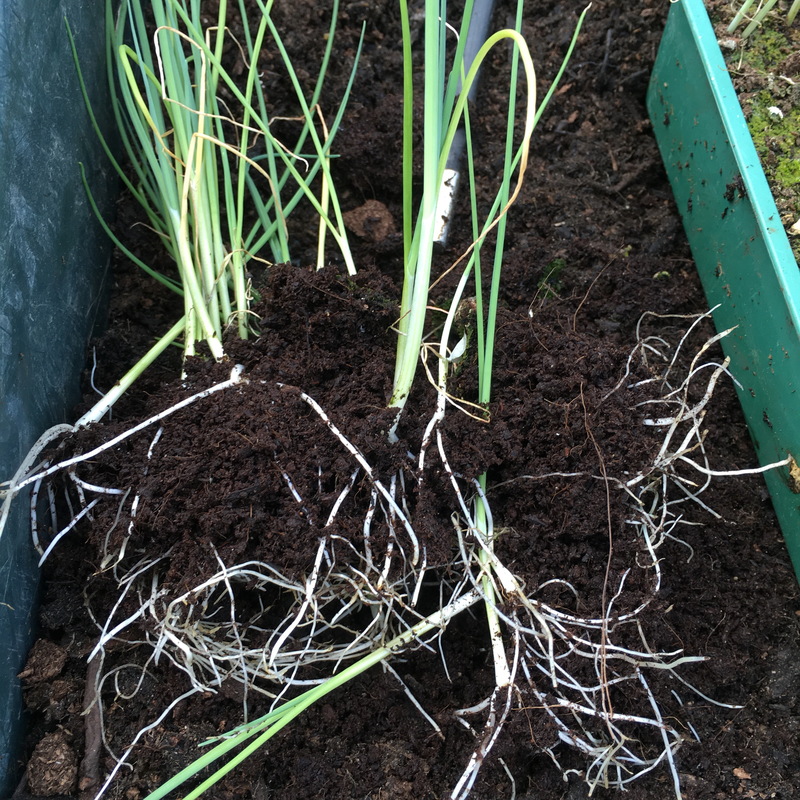 Straight, robust seedlings are selected and long roots trimmed as needed to allow them to be inserted into their new positions. 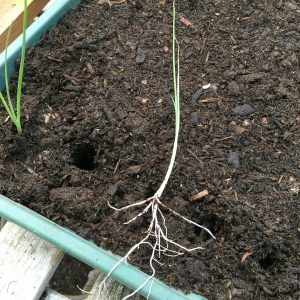 Soil is firmed in around each plant, from the side rather than the top, so as not to damage the roots. After the tray is filled, further fine compost is added as needed and the whole kept moist so that the new transplants do not dry out. They can be planted out when they have thickened up.